The Indigenous Framework for York University: A Guide to Action is the result of cumulative efforts involving Indigenous and non-Indigenous York community members over several years. While the Framework was created in January 2017, it is important to acknowledge the significant contributions made by those who courageously stepped forward, convened dialogue and prepared earlier drafts. 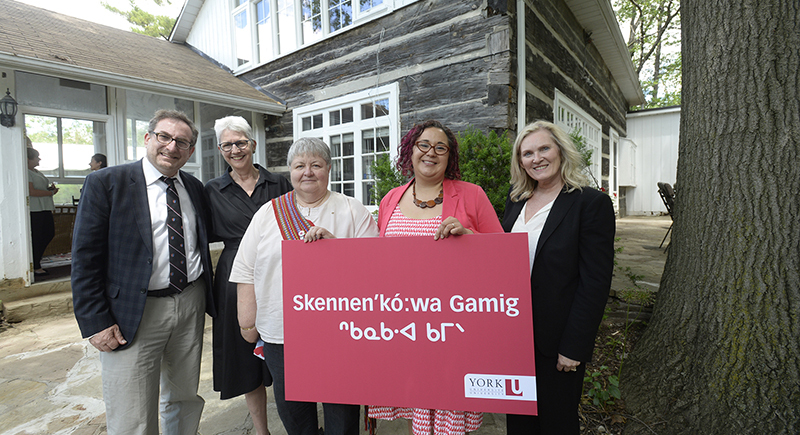 York initially started working on a draft Aboriginal Education Strategy and visioning exercise with its former Aboriginal Education Council several years earlier, and many of the original ideas and principles mirror those in the current Framework. Although the original draft was not formally adopted, the expertise, insight and aspirations shared during those early years were not forgotten. They helped to build a foundation upon which the Framework was created. York University, like other postsecondary education institutions across the province, has benefitted from funding support and policy directives from the government of Ontario. Over the years, this support has taken various forms, including but not limited to the Aboriginal Education and Training Strategy (1992), Reaching Higher Access to Opportunities Strategy (2005), Multi-Year Aboriginal Action Plan for Postsecondary Education (2009) and, most recently, the Aboriginal Postsecondary Education and Training Policy Framework (2011). These government policies also included the creation of new special enveloped funding programs that York has been able to access. 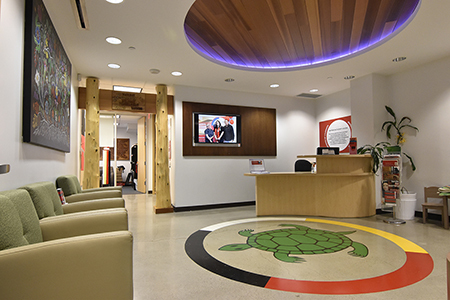 As a result, York created a dedicated Aboriginal counsellor position and then, through the Postsecondary Education for Aboriginal Learners (PEFAL) grant, York established the Centre for Aboriginal Student Services (CASS). The principles and Calls to Action following the Truth and Reconciliation Commission of Canada have created a sense of urgency. Over the past several years, many colleges and universities have been developing their own institutional Indigenous and/or Aboriginal education strategies or plans in consultation with their Aboriginal education councils. In 2014, the Vice-President Academic and Provost sponsored a two-day symposium that included a public forum on The Future of Indigeneity in the Global City, followed by an internal workshop for York academic administrators and Indigenous scholars focused on improving recruitment and retention of Indigenous faculty at York. The Vice-President Academic and Provost also established a new position — Academic Director, a role focusing on Indigenizing curriculum and the academy, working closely with CASS. Professor Susan Dion (Faculty of Education) served as the inaugural Academic Director in 2014/15 and Professor Bonita Lawrence (Faculty of Liberal Arts & Professional Studies) assumed the position in 2015/16. In 2015 Lawrence attended a conference in Saskatchewan where discussions on institutional strategies were held. Upon her return she worked with Professor Ruth Koleszar-Green (Faculty of Liberal Arts & Professional Studies) who was recently appointed Aboriginal Education Council Co-Chair to develop an Indigenous strategy for York University. In January of 2016, Osgoode Hall Law School Dean, Lorne Sossin, led discussions between the Office of the Vice-Provost Academic and York’s Indigenous faculty, staff and students on the creation of an Indigenous strategy. A working group referred to as the Writing Committee was established to review previous strategies, formulate ideas and establish priorities. In March 2016 the Writing Committee presented its first draft of the Indigenous Strategy to the Aboriginal Education Council (now the Indigenous Council). The draft strategy was reviewed and approved in early January 2017. The Writing Committee, in mid-January 2017, met with the then Vice-President Academic and Provost, Indigenous student leaders, student representatives and members of the Indigenous Council, to garner feedback and input on the strategy. The group discussed the strategy, the impact of colonial education and the possibility of creating a York University Wampum Belt. The strategy, which was endorsed by the Vice-President Academic and Provost, was circulated and discussed amongst senior leaders from both the administrative and academic sides of the University. A plan for community engagement was developed, and the strategy was renamed The Indigenous Framework for York University: A Guide to Action.